Starting a brand new blog is easier than you think, and designing it isn't that hard either especially if you purchase a Georgia Lou Studios template. For today's post though, we'll keep it completely free! I will walk through how to design a blog that you'll be proud of. 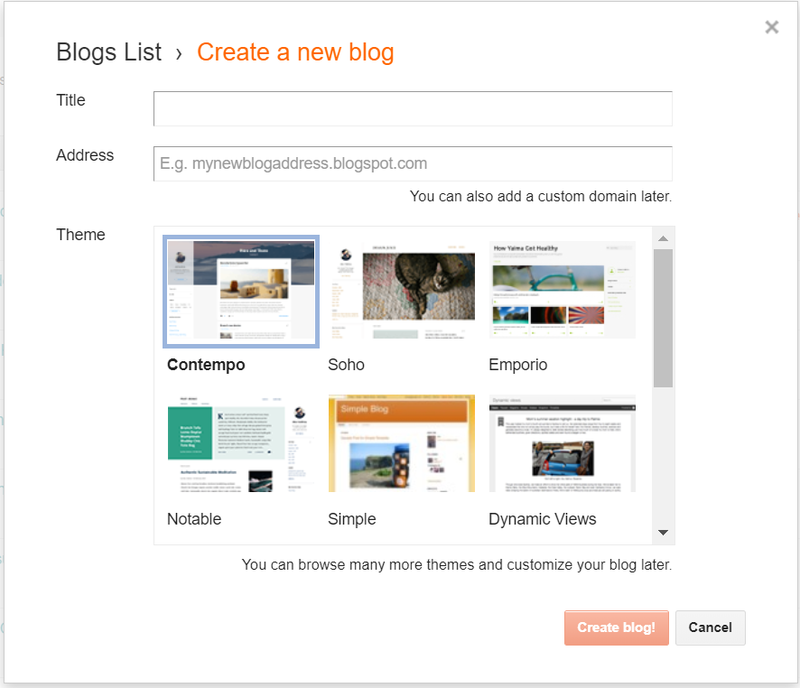 Posts and Comments: Change Who Can Comment to "Members of this Blog"
With Blogger, you have nine different blog themes to choose from and within each theme, you have a variety of color schemes. For the example blog I'm showing, I chose the Simple Theme with the white background. It's easy to customize it which I'm going to walk through. You can also purchase a template from Georgia Lou Studios. Geogia Lou gives step by step instructions for how to install their templates. Their designs look very nice and can be customized too. You'll see five options under customize: theme, background, adjust width, layout, and advanced. We selected our theme, and the background is white. For the width, you want your entire blog to be 1000 pixels wide and the sidebar to be 300 pixels. This is important because in blogger, the extra large image can be as wide as 640 pixels, and if your post width is too narrow, the image will spill over into the sidebar which looks terrible. The next step is to choose your layout. I chose the following options for the body and footer layout which is a typical design. The last step to customizing comes in the advanced tab. It is in this location where you'll select your fonts and accent colors. For each, you'll go down the list and choose what you want. There are a few things I've learned (after my DIY blog, and three redesigns), and that is keep things simple and consistent. You want your blog to be easy to read, and therefore, you want to choose clean looking fonts at a size that isn't hard on the eyes. You also want a color scheme that coordinates well too. 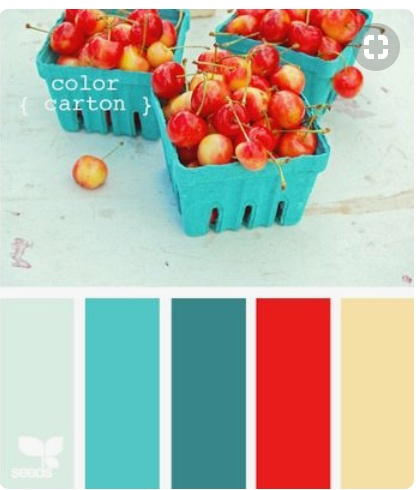 One tip in selecting a color scheme is to go to Pinterest and search Design Seeds. You'll find a plethora of options and can choose a collection that appeals to you. 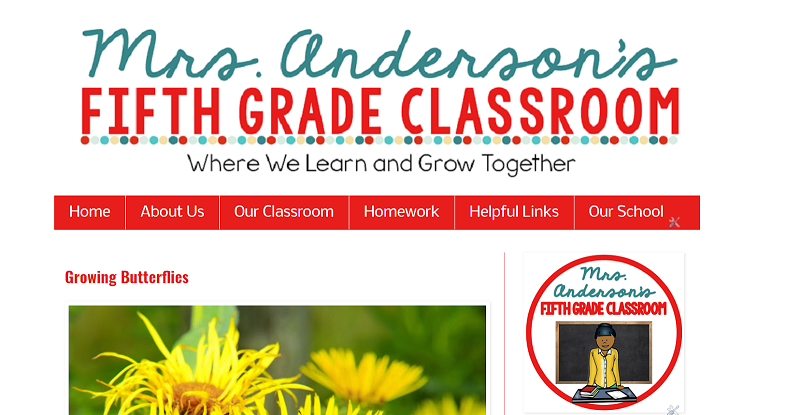 For Mrs. Anderson's blog, I chose the color scheme to the right, and I used the chrome extension, ColorPick Eyedropper to get the color numbers in this palette. For fonts, I chose Nobile as the text font and Oswald as my title font. For text color, I chose black because it's easiest to read. For the gadget labels, you might choose white with a dark colored background or black with a light colored background. 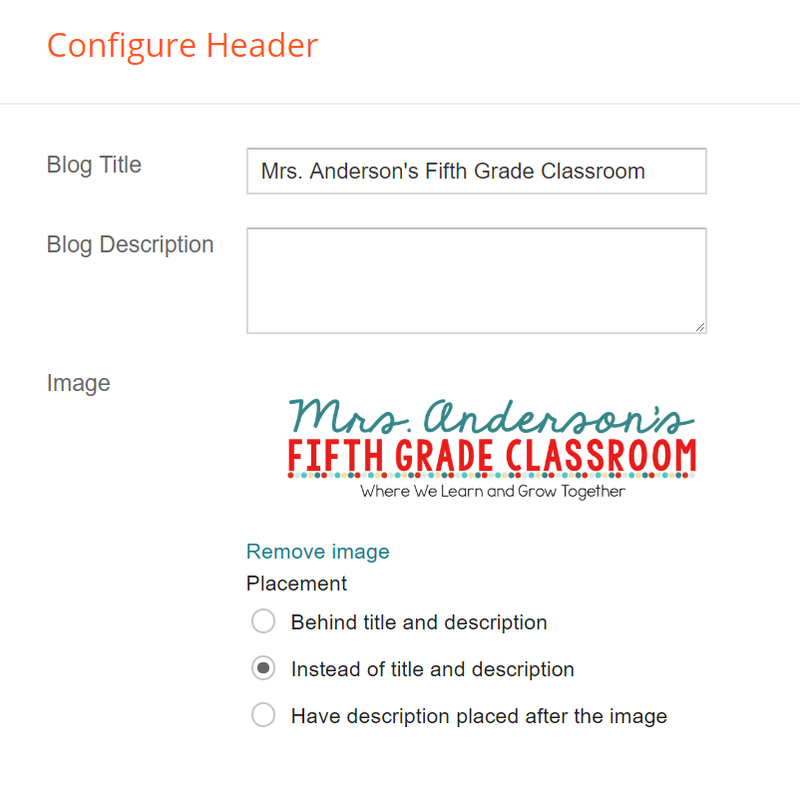 To really make a blog your own, you have to create a blog header that adds style. I do my images in Powerpoint, but you can also use Picmonkey or Canva. For the blog header, I made the slide size 20 x 6.5, and I used KG fonts (The Fighter, Sorry Not Sorry Chub, and Part of Me (tag line). To get the colors correct, I inserted the Design Seeds image above into my powerpoint slide and just used the eyedropper tool to match the colors. Once I finished the slide, I saved the file as a PNG and then I modified the size using MS Paint to make it the exactly 1000 pixels wide (the width I'd chosen for blog in the theme customization above. 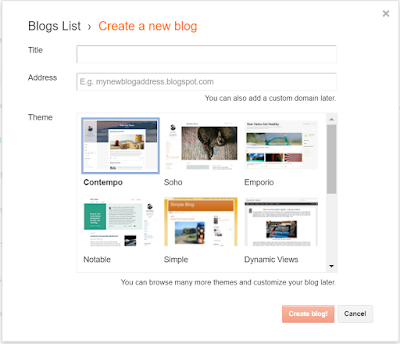 To add it to the blog, you go to the layout tab in your blogger menu, click edit on the header tab, and upload the image. The image to the left shows the settings I used. You want to insert the image in place of the title and description. Next, I set up the blog menu. To do this, you'll go to the pages tab. I added pages for each topic I thought a teacher would want...home, about us, our classroom, homework, helpful links, and our school. The pages work just like a regular blog post. You can add text, pictures, and even video. Typically, your pages aren't changing all the time with exception of your home page. That's where all new blog posts go. You can change the pages though, and a homework page would be a great example where you'd have a student share the date and list all homework assignments for the day. You could certainly use a page for special events your class has participated in (field day, class plays, or field trips) and add photos your class has taken. When you go to the sidebar set up, you'll see that it has preselected gadgets. You won't want many of the preselected gadgets showing. To delete them, simply click on edit and click the remove tab. (You can always add them back later if you choose). Then, you will want to add a "blog button". To create this, just go to Powerpoint: Design: Slide Size: 3 inches x 3 inches. I added a circle with a reddish border, added text boxes for Mrs. Anderson's and for Fifth Grade Classroom, and added clip art to make it look cute. Again, save as a PNG file. To add it to the blog, go to your sidebar:add gadget:add image:upload the PNG and click "shrink to fit". You can also link the image to your URL if you like. In addition to the image gadget, I added in the follow by email (parent may like that), search the blog, labels, and popular posts. I set the popular post to 3 and "last 30 days". 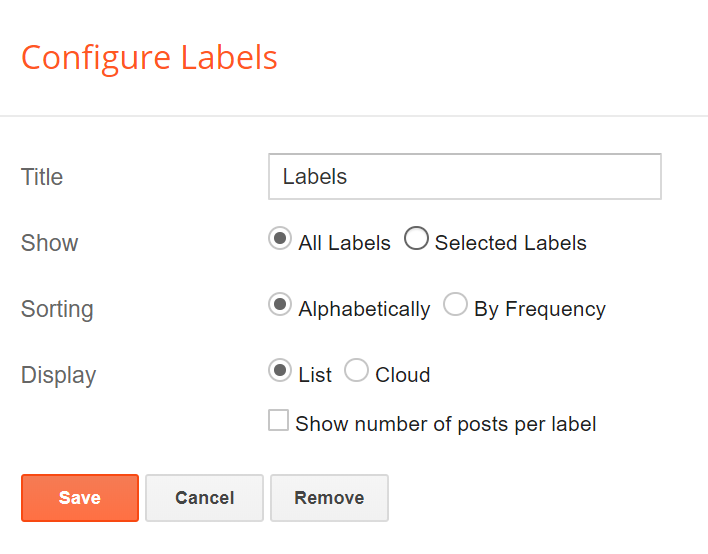 Remember from the last blog post that you want to limit the number of labels showing to less than 20. 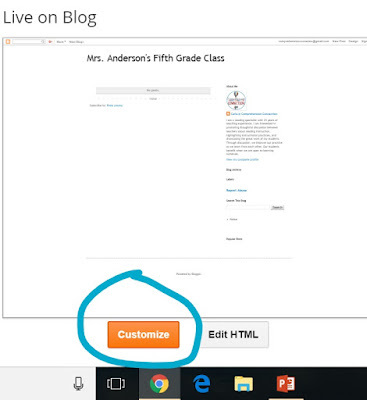 To limit them, click selected labels and then choose the main categories you want on the blog (math, science, social studies, reading, writing, spelling, etc). You can display them in a list or in a cloud, and I would display them in alphabetical order. 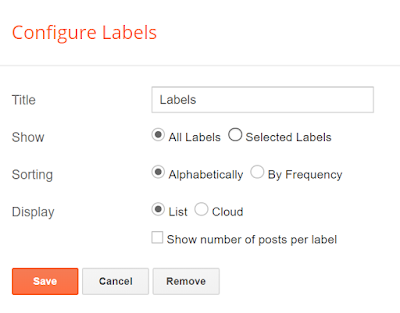 For the title, you can change the words from labels to Post by Topic. You are welcome to check out the other gadgets that are available, but use caution in adding too many. Limit just to what you feel adds value to your overall blog look. As you learn, you have the option of custom gadgets using HTML, but I won't to get into that since this post is for the beginning blogger. 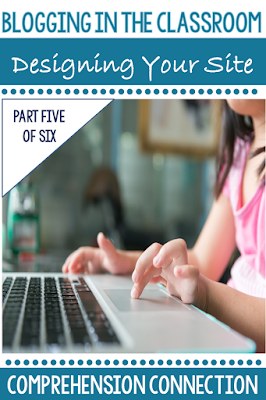 Well, we've reached the end of line on desigin, and if you're interested in learning a little more, here are the links to the other posts I've done on blogging. If you are blogging with your students, you may want to share the links, use them for modeling, or review them to form your key teaching points. I would begin with a classroom blog first and then branch out to individual blogs later on. Keep in mind that blogging is a new adventure. 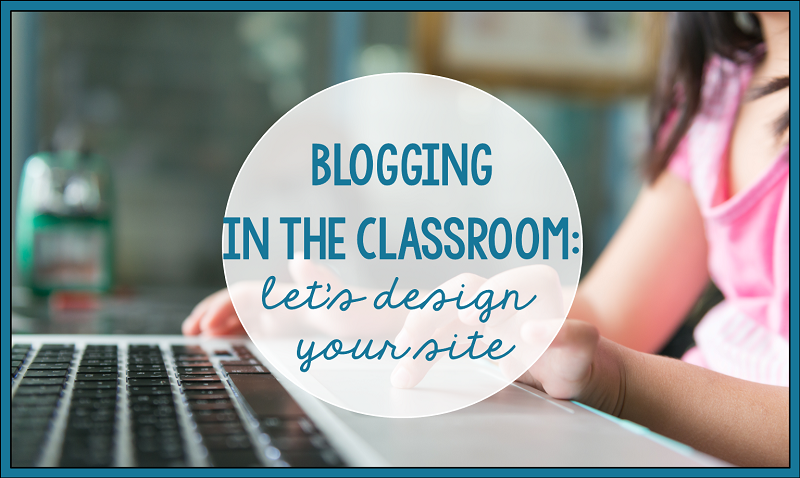 Think of blogging as a blank canvas where you can share your craft, extend learning in your classroom, teach and learn a little design, and most importantly, explore creativity. Your blog design won't be perfect, but that really doesn't matter. Just learn as you go. If you need help, search Youtube or Google it. I have learned so much through tutorials I've found. If you have questions, feel free to ask. I'll do my best to help you out. Good luck on this great adventure.